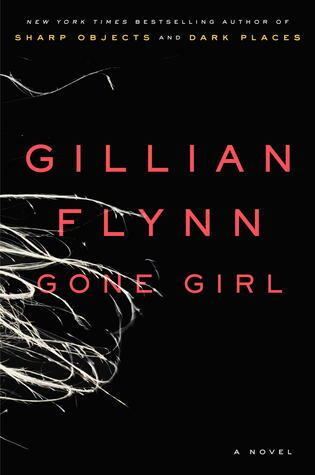 It’s hard to know what to say about Gone Girl. It’s captivating and crazed. A mystery wrapped in a mind game. Well written and precisely plotted. Certainly a story that will stick in my memory for quite a while. Nick and Amy Dunne have been married for five years – exactly – when Amy goes missing, leaving a chaotic scene and a long list of questions in her wake. Both Nick and Amy are out-of-work writers, transplated from their Manhattan lives to Missouri, Nick’s hometown and boyhood stomping grounds. After losing their jobs, Amy’s parents reveal a financial bombshell and Nick’s take a medical turn for the worse. His father has been in a nursing home for some time, but his mother has just been diagnosed with cancer. Nick’s twin sister, Margo, calls to share the new and, shortly thereafter, Nick and Amy pack up and head West. Told in the alternating voice of Nick and Amy themselves, Gone Girl unfolds piece by piece, each party revealing bits of their personal and joint histories. Amy and Nick each paint vivid pictures of the past and present – but those pictures are vastly different images. And that is all part of the murderous and mysterious plot concocted by Gillian Flynn. Nick and Amy are both seriously damaged people – definitely bordering on the deranged. In a very twisted sort of way, they kind of deserve one another, and the whole of the novel sets up the “fairy tale” ending only such characters could deserve.